The infrastructure that allows mobile phones to work is continuing to spread and change the world's landscape. Residents living near them have health concerns, but scientists cannot agree if the technology has an impact or not. Locals in the town of Brindas, in the south-east of France, voiced their opposition after a base station was put up in the middle of the village's schools. 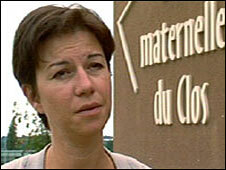 Frederique Davos, from residents' group Brindas Stop Antenna, criticised the chosen location. "I think there isn't a worse position in the whole of Brindas to put this mast," she said. "It's less than 100 metres from the kindergarten, primary school and playground; 200 metres from the village and 300 metres from the local college." "We don't want to live in doubt for 10 years and then our children or the people living here develop illnesses," she concluded. If you find it useful to have a mobile phone or mobile wireless internet connection, and you are not prepared to give it up, then you have to accept mobile phone masts and transmitters. There is no alternative - just deal with it! These devices don't work by magic. I have a mobile phone mast directly across from my house. The only thing that really annoys me about it is the fact that is owned by Orange and I am lucky if I get about one bar of signal anywhere near my house. I can appreciate why people would be concerned about the harmful effects of mobile phone masts but unfortunately they are a necessity in daily life now. But I do agree that there should be limits set on their power output strength. If anything, locating a mast close to a school would be beneficial to school children's health - it would mean that the mobile phone they hold against their head does not need to transmit such a powerful signal since the receiving mast is nearby. This is all just another health scare story similar to the ones about microwave ovens back in the 1980s. Mobile phones have been around now for over a quarter of a century, or in other terms for more than a generation. I can't speak for everyone but I personally know of nobody who has suffered any ill effects since their introduction. I also can think of no instances where children have been born or grown up with any unusual reaction to the new world that has been growing up around them during this time. We live close to a mast and ever since we moved to our address things don't work, ie can't get analogue radio and some electrical things play up. I have spent more time at my GP since I have moved into the area of the mast - maybe I am been oversensitive about this but even people I talk to feel the same. I can understand the idea of reversing the burden of proof when it comes to public health effects but this sort of public panic is unhelpful. I for one feel reasonable assured by the several studies which have now been undertaken including a Danish one (reported by the BBC) of 420,000 people over 20 years which found no increased risk of cancer. Before reading this article, I haven't been thinking much about the potential damage that base masts could cause. Now I have some doubts whether I would like to live near the mast. On the other hand, I am convinced that life without mobile phones is already the thing of the past. There's still strong evidence missing that wireless communication adversely affects the human health. I wonder if fuel powered vehicles or electricity powered device are not even more harmful and dangerous. That's the reason why giving it up would be a hard decision for me to take since a handset, a laptop, MP4 player etc. have become a part of my life. 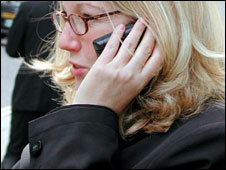 No solid physical evidence has been found for a problem due to mobile phone radiation. However, the mere sight or thought of a phone mast can make suggestible people feel unwell. Paradoxically, the further you are from a mobile phone mast, the higher the level of radiation from your mobile phone pressed against your head (which dominates over any radiation from a mast). It adjusts the power to compensate for the greater distance. 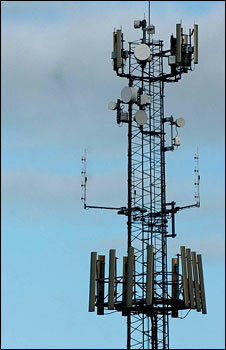 The nearer the mast, the less radiation your own mobile needs to be able to transmit. The hypocrisy is to continue to use ones mobile (and give the kids mobiles! ), while objecting to the masts. I'm a mobile telecomms engineer and would like to say that for many technical reasons the best place for this community's phone mast is near a school. The reason is that the EM radiation you get using a phone is significantly larger than that from a local base station. A local mast's signal level will be in the region of at least a million times smaller. Children use their mobiles more than most adults hence with a mast closer the phone and mast will power down and have a smaller transmit power than if a mast was far away in a field. This is the usual misconception or misunderstanding of the mis-informed public. You get more 'radiation' sat near someone else using their phone than you do from the mast. In summary, contrary to popular belief there is a good argument to have more, smaller sites so the average transmit power reduces. I have been campaigning for years for mobile phone manufacturers to place health warnings on their packages, similar to those on cigarettes. I believe that if parents knew the truth about mobile radiation they would not hesitate to prevent their children using mobiles. After years of excessive use of the company mobile, which I was expected to use, and after numerous visits to my GP complaining of headaches, memory loss, I eventually found myself diagnosed with an Acoustic Neuroma. It's the size of a golf ball and resulted in a nine-hour operation and left me completely deaf in one ear, the ear I used on the phone. We had a mobile phone mast put up within feet of our back garden, six months later my six-year-old son was diagnosed with leukaemia. We now have been notified that another masts is to follow.